MODERNIZING INFRASTRUCTURE: Federal government should focus on nation projects beyond the reach of states and cities, says RAND report. State and local governments shoulder most of the burden of building and maintaining infrastructure. RAND study: Infrastructure projects need federal support through tax advantaged financing, regulatory improvements, R&D. Transportation and water infrastructure funding and finance in the United States are not nearly as dire as some believe, but a national consensus on infrastructure priorities, accompanied by targeted spending and selected policy changes, is needed, according to a new RAND Corporation study. While much of the nation’s transportation and water infrastructure is adequately maintained, a 2.5 percent to 3 percent annual spending increase above the total of more than $235 billion now spent annually by local, state, and federal agencies on transportation and water infrastructure largely would eliminate existing maintenance backlogs by 2030, according to researchers. For more transformational change, a national consensus on capital spending priorities is needed to target regional and national-scale opportunities to meet 21st century needs, while accounting for different priorities across regions and between urban and rural areas, according to the study. State and local governments already shoulder most of the burden of building and maintaining infrastructure like roads, highways, bridges, water and sewage treatment, storm water systems, airports and ports. The RAND study says such infrastructure projects need federal support through tax advantaged financing, efficiency improvements in regulatory processes, and research and development. Examples include re-engineering connections among regional highway and rail lines, port-rail-highway junctions, airport modernization, major dam repairs, and infrastructure on military installations, in national parks and other publicly managed recreational areas. Federal assistance can be through direct spending or through the tax code. If it wanted to ensure that state and local governments have reliable and sustained access to capital from a broad class of investors, Congress could preserve the federal tax exemption on interest earned from municipal bonds for at least the next decade, reinstate taxable Build America Bonds, and experiment with other financing alternatives that keep capital flowing to local and state infrastructure investment, including investment through public-private partnerships. RAND researchers also offer other policy options for Congress that could be used to help the federal government — working with state and local governments and the private sector — to renew and modernize the nation’s infrastructure. 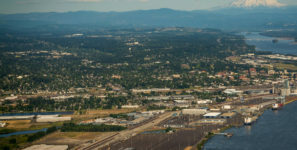 Among these options, RAND researchers list major investments in the renewal of the nation’s most-critical aging and new infrastructure, incorporating advanced technologies to support newer construction methods, more-durable and sustainable materials and sensor technologies that might benefit infrastructure maintenance. In addition, federal capital funding could include requirements to make projects resilient to natural disasters and climate change in order to reduce future spending on disaster assistance. The report, “Not Everything Is Broken: The Future of US Transportation and Water Infrastructure Funding and Finance,” is available at www.rand.org.